We all agree that whole foods are better than refined foods. So why should it be any different when it comes to vitamins? When you eat an orange you are not only getting vitamin C, but bioflavonoids, fiber, calcium and folate all in one bite. But time and time again we try and isolate nutrients, like vitamin C, for its known health benefits. The only problem is when you isolate these nutrients, you are not benefitting from the entire food complex. 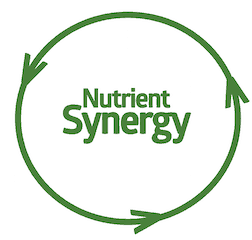 Nutrient synergy is when 2 or more nutrients work together to produce an effect that you can’t get from either nutrient alone. Sometimes one nutrient helps you absorb the other. Other times, they work together to complete the same task. But the main takeaway is that they are all needed. And they are all important for optimal health. Research has shown many examples where whole foods are far superior over isolated nutrients. Fat-soluble vitamins: A, D, E and K are a great example. They need to be taken with some fat to be absorbed. Isn’t it convenient that they usually come packaged together in whole foods? For example, vitamin D is in fish, vitamin E in almonds… this is the way nature intended. And nature knows best. The same goes for bone health. You’ve seen studies showing increased heart attack risk for calcium and vitamin D supplements. Science (and supplement companies) have tried to isolate these nutrients and give them to you as is. But we now know, that’s not how it works. Whole food supplements are better than isolated nutrients. And when it comes to your bone health, you don’t just need calcium and vitamin D, which is what traditional rock-based calcium supplements give you. 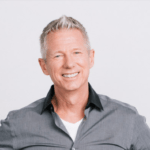 You need a whole food supplement that in addition to calcium and vitamin D – has magnesium, vitamin K2, vitamin C, boron, selenium, silica and trace minerals. That’s why we formulated AlgaeCal Plus with every bone supporting nutrient possible. And did so at full clinical doses! AlgaeCal Plus is a whole food supplement that provides your bones with the nutrients they need, in their proper proportions. But beyond being the “full meal deal”, what makes it so special? It’s a plant-based, food source of calcium. And a plant source of 12 other bone supporting minerals. So just like a carrot or potato root would draw nutrients from the soil and convert them into a useable form your body recognizes as food – AlgaeCal does the same. USDA organic certification also attests to both the purity and sustainability of this algae. So the next time you get caught up in the latest and greatest health nutrient, remember that isolated nutrients can only do so much by themselves. They need their nutrient ‘buddies’ to provide you with the health and natural balance you need. The way nature intended. What product would work better with a Hypoparathyroid person , taking it for a whole food supplement/vit.